Here's a photo from lovely Bratislava. It was shot during blue hour there, overlooking their Old Town, and I used Aurora HDR to accentuate details adjust some colors, and more. Dive in, and also check out the video I did as well! I'm back at it - sharing a HUGE collection of photos from a trip I took to Bratislava, Slovakia. But this isn't your normal post, featuring some landmark or well-known sight. This is 16 photos of the little things I found there while wandering with my camera. Take a look! Do you ever wander down alleys? I love wandering down alleys in search of images. Back streets, alleys...they are often overlooked but I think they are rich in photographic opportunities. Don't you? That is definitely one of my all-time favorite quotes. It's just so awesome and inspirational, and I happen to think that it's also great advice. Do I do all that stuff? Maybe yes sometimes, and other times no. I'm not going to lie and say I am some total "carpe diem" maniac living life to its fullest. I do my part, I think, and have a good time, but it's not all fun and games, as the old saying goes. It just can't be. I was in Bratislava about 2 years ago, and still think about it often. It's a beautiful town and I found quite a bit to shoot there. I also wandered a lot of the old back streets and came home with a lot of images like this one that I just happen to really like. They're not going to get published, and likely will never sell, but I just don't really care. They're meaningful to me despite their relative insignificance. Does that make any sense? Plus, I just happen to like all the detail, texture, and all the lines that your eye follows here. Oh and before I ramble on too much and forget, here is a screen shot from Color Efex Pro that I grabbed while I was editing this one. I actually went a little dark on the HDR in Photomatix but after a few filters it's looking good! 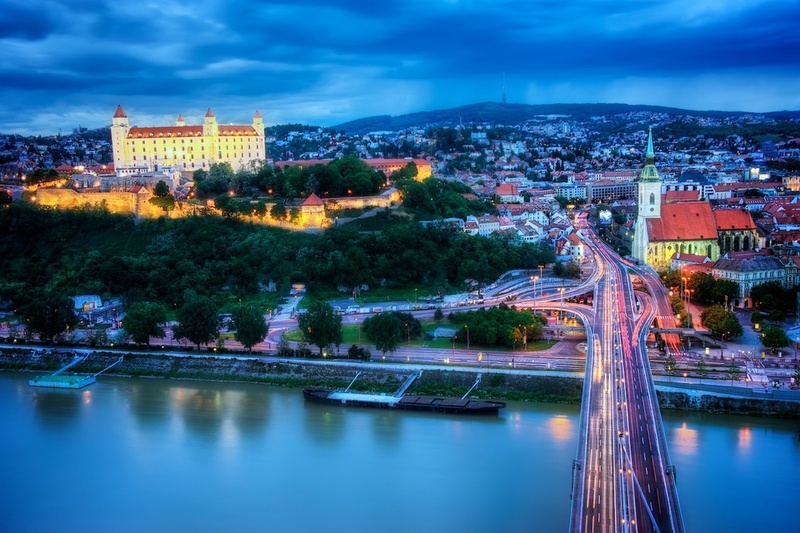 Bratislava is a beautiful little town...have you been yet? If not, I think you should go. Of course, that's easy for me to say since I am sitting in a chair at home and just typing this on my laptop. But I really do think you should go. It IS a beautiful town, but it's not a large town. It's a manageable town, which is important. Why is that important? Well, if you are like me and you are in Europe (or anywhere new, really), at every turn your head is spinning because there is so much awesome stuff to see (and in my case, and maybe yours - to point the camera at). I have said that about Paris at least once or more here on the blog, and if I haven't said that about London then I should have. And that's what I liked about Bratislava. Yes, there's great architecture, churches, bridges, old buildings, a town square, and more. And it's all great to look at, and all great to photograph. But the great thing to me is that the historic town center is fairly compact and easy to navigate. In other words, it's not huge and potentially overwhelming like London or Paris. And in case you didn't know - it's only about 45 minutes in a car from Vienna, Austria which is a place you are probably going to try and see someday anyways, right? Why not take a little detour and soak up another town, which happens to be in another country, but is still close by? Or you could take a boat ride down the Danube from Vienna - it's about 2 hours if I recall. And yes, I took the boat ride, and the scenery was fabulous. But I just realized I never posted anything from that little trip here. I need to get busy!. Ok, that's it for today, thanks for swinging by! I guess this is really proof though - without me saying it - that I just love to shoot HDR photos in these sorts of spots. Alleyways and back streets usually have a lot of character, and generally since they can be run-down, they make for interesting HDR shots in my opinion. I find that there are interesting lines, usually some graffiti (which I enjoy shooting) and great texture and detail. 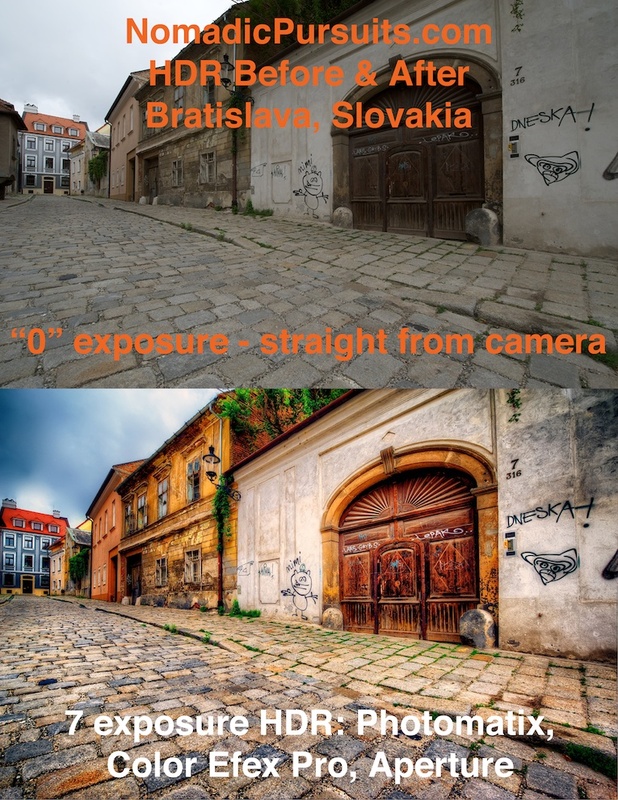 In other words, these spots are just perfect for HDR. I think I’ll keep doing it. I really like Bratislava. For a fairly small town, it packs in a lot of awesomeness for a photographer. It is only about 45 minutes away from Vienna, but I imagine lots of people overlook it. That’s a shame, really. It feels like a nice little European village that is just filled with great character. On second thought, maybe it’s better that more people don’t go there, since over-tourism may ruin some of the charm. Either way, I enjoyed my visit there and despite sharing a lot of pics from there already, I have many more still to get to. I caught this HDR one morning while wandering around in their old town historic district. I started around sunrise, and had the place to myself, or at least it felt that way. This image was taken on one of many back streets that I explored with my Nikon. It was a fabulous start to a day! 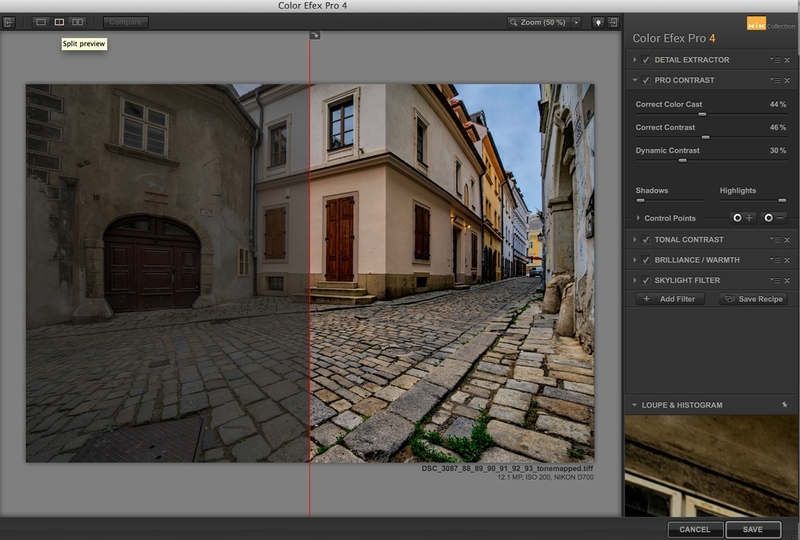 And here is a Before & After comparison for those interested in HDR - quite a difference! This is probably the prettiest view in Bratislava, and I have to say there are a lot of beautiful spots to shoot in this town. Although it is not very large, it packs a lot of awesomeness in a not-too-big space. I loved my visit there, partly due to being able to hang out and shoot this awesome scenery with my friend Miroslav Petrasko (see his awesome work here). He took me up to this incredible spot (I had no idea you could get there) and we shot through a nice sunset and on into this incredible blue hour. It was a pretty awesome way to spend a day! That’s one of the great things about photography and sharing it online. I have been fortunate to connect with and in many cases meet up with and shoot with talented folks around the globe. We live on a big planet, and so many of us are so far away from each other, but thanks to the wonders of social media, I now have friends in far-flung places. And when you are fortunate enough to get together in person with like-minded folks, it’s an incredible experience. As I mentioned in my post at the beginning of this week, Bratislava is a beautiful town and offers up a lot of photo opportunities. Since that last post showcased some decay and graffiti, I promised that my next Bratislava photo would show some of the “traditional” beauty of the place. 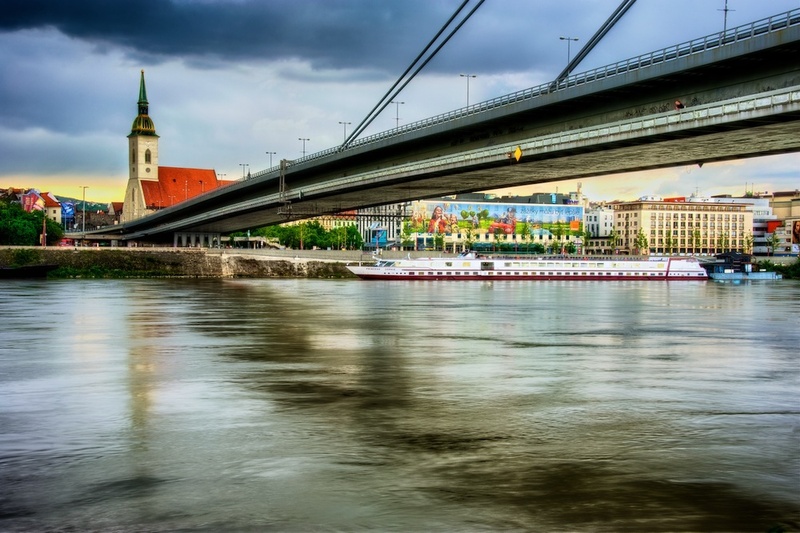 So, here is a view across the Danube River, under their New Bridge, and looking at part of their historic city center. You can see the steeple of St. Martin’s Church there as well. See how pretty this place is? Howdy folks - thanks for stopping by today! I took the last few days off from the blog due to the Thanksgiving Holiday here in the US - which I enjoyed immensely. I also took a few pics which will find their way here pretty soon. 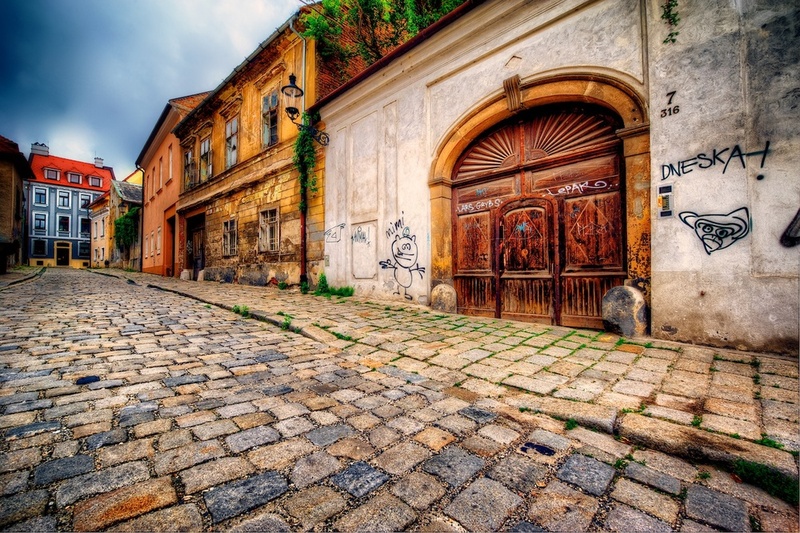 Today's post is from another back alley in Bratislava, Slovakia. 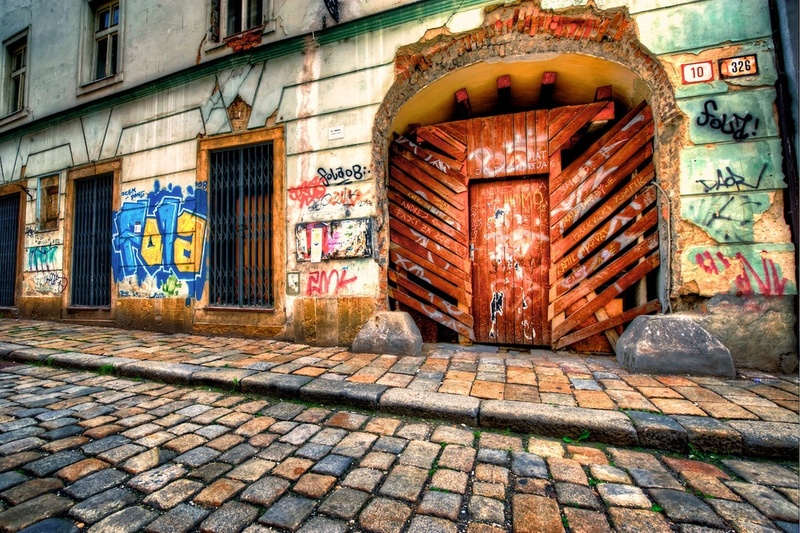 I took a lot of shots like this while I was in Bratislava, but I find doors interesting in the first place, and when you surround them with graffiti and smash 'em up a bit, I just can't resist! 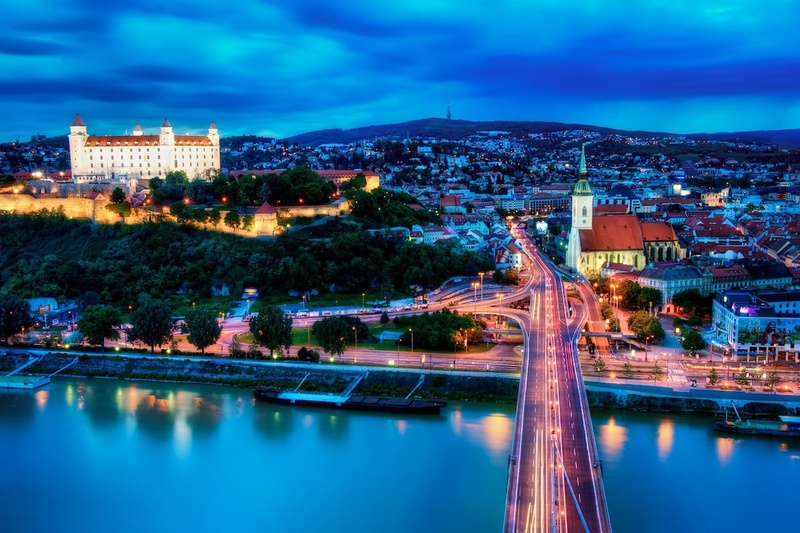 And for the record, I found Bratislava to be a very beautiful city, so I guess I better show some of that next time I post about this place! As I have shared before, I have a thing for doors. They just get to me somehow. So whenever I am out shooting, I am casually scouting out interesting doors too. It's hard because often my mind in pulling me in two directions at once. I usually shoot whatever is closest first, unless the further thing is likely to disappear or change in the span of a few moments. I think of that as being logical, but it's just laziness, probably. 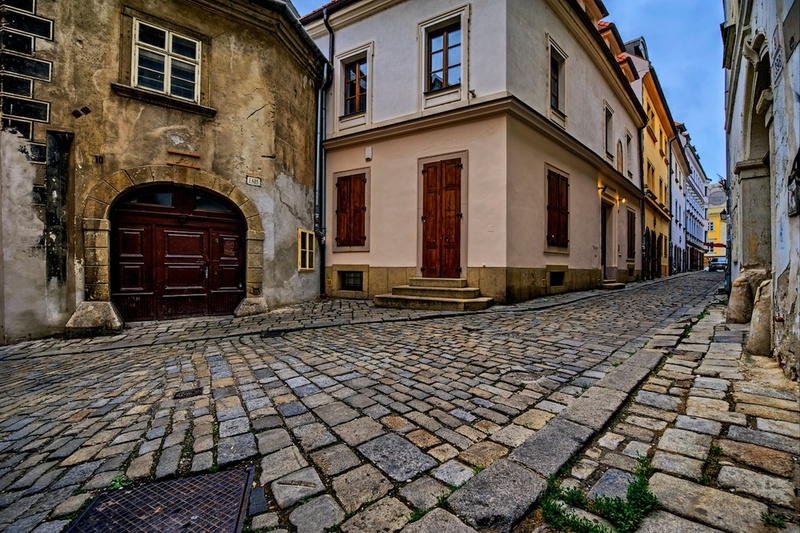 I caught this one while wandering some back streets in Bratislava, Slovakia. 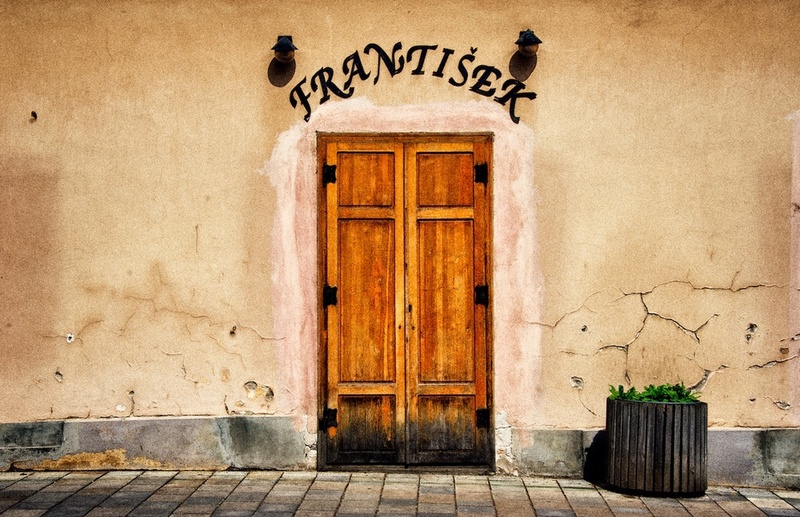 It wasn't an overly beautiful door, but I did like the writing above it - although I have no idea what it says. I am a fan of languages, though I really only speak one (apart from Pig Latin haha). That one potted plant sitting there gave it a nice touch, I thought. Sometimes these little scenes that I capture bring back just as fond a memory of a place as the big cityscapes do. How about you?